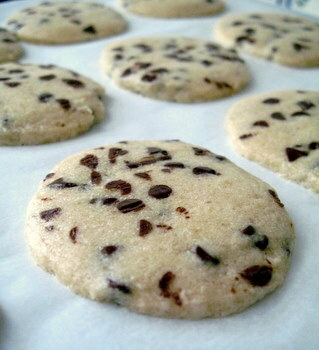 This entry was posted in Bakery Life Essays, Half Baked Ideas, Recipes, Useful Stuff and tagged Bake Cookies in Your Car, Bakery Boy Blog, Baking Bites, bakingbites.com, chocolate chip cookies, hot car, Nicole Weston. Bookmark the permalink. Okay, that sounds like loads of fun! Roll of cookie dough, here I come! Ha! 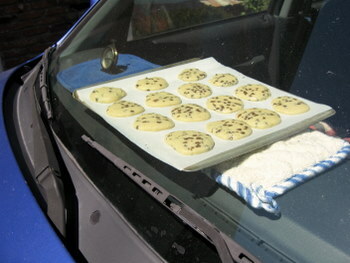 I once met a potter at Taos pueblo that used a hot car in the New Mexico sun instead of a kiln, but this wins for delicious & creative use of a crappy situation.